Coming in the summer of 2018, Pixar Pier is going to transform Paradise Bay at Disney California Adventure park with playful neighborhoods that include characters from some of everyone’s favorite Pixar stories. 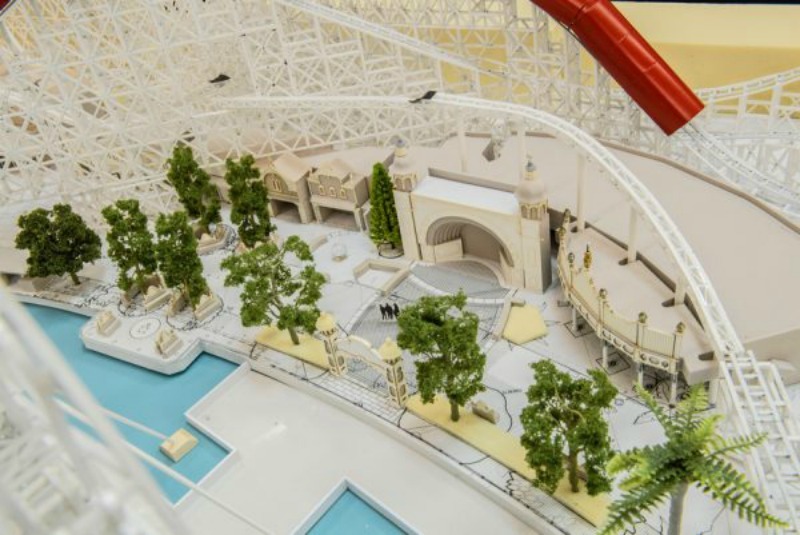 Disney has shared the first look at the working model that’s now being used by Walt Disney Imagineering. 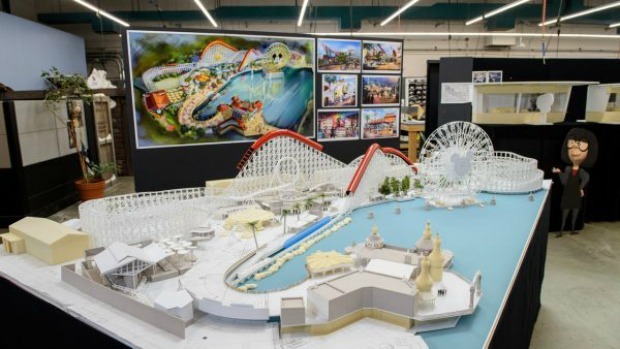 The new neighborhoods being added will represent beloved Pixar stories and the one inspired by The Incredibles will be anchored by the Incredicoaster, which will feature a new mid-century-modern-style loading area inspired by the Parr family home as it is seen in the upcoming Incredibles 2. We mentioned last month that the Games of the Boardwalk are being re-themed and we’ve just learned that all of the midway games will be inspired by characters from films such as a bug’s life, WALL·E, and the Pixar short La Luna. Pixar Pier is set to open in the summer of 2018!